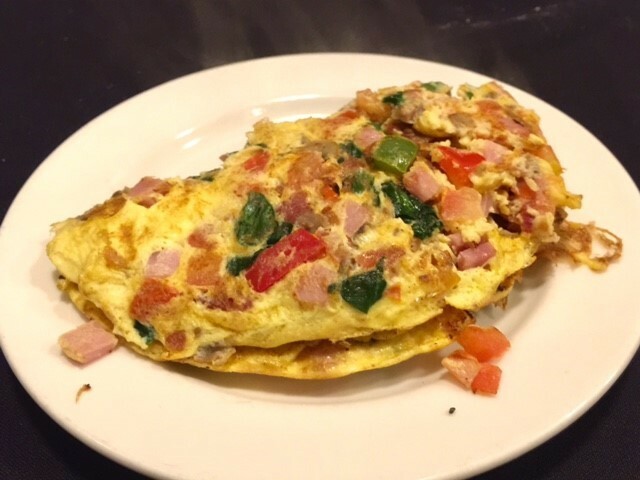 I’ll take an omelet with spinach, mushrooms, bacon, ham, tomatoes, and a few peppers please. Thank you. That was my order at the create-your-own omelet bar at Matt the Miller's in Carmel …and while that cooked on the hot skillet, I loaded my plate with a few other items. The Sunday brunch buffet at kept me on my feet. Making the rounds to the omelet bar, fresh-made waffles station, the buffet, and there’s also a fruit and dessert bar, a coffee bar, and a create-your-own bloody Mary bar. I like to sample a little bit of everything at a buffet, so needless to say, I had a full plate of food. 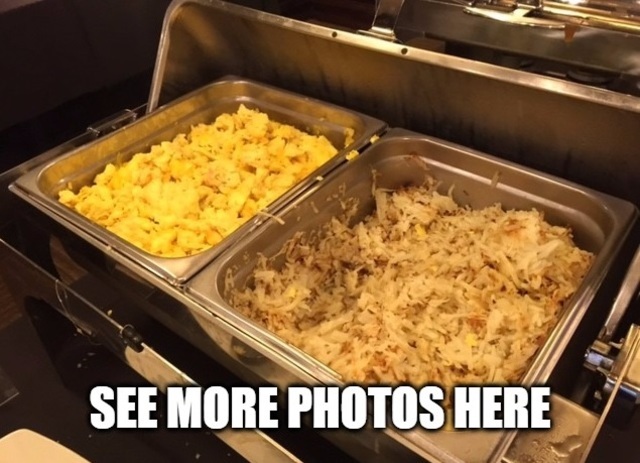 The offerings included: eggs benedict, bacon, scrambled eggs, fried chicken, hash browns, salads, ham, scalloped potatoes, vegetables, flatbreads and pasta. Everything I ate was fresh and tasty. My favorite selection was the fried chicken. It had a crisp, crunchy, well-seasoned coating. 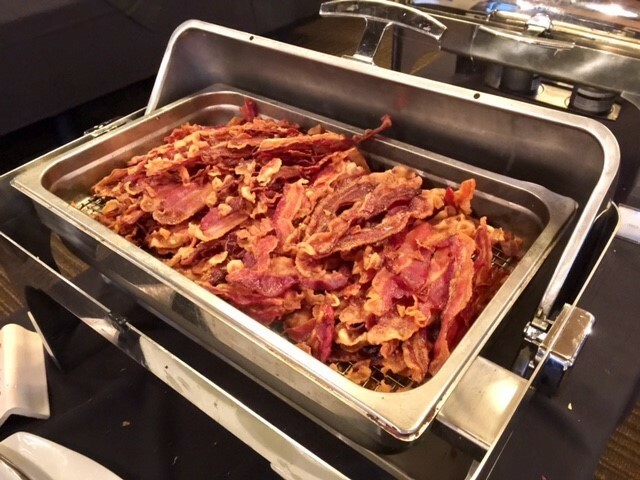 The Sunday brunch buffet cost $18.95 for adults. Kids ages 4-10 cost $8.95. The bloody Mary bar and coffee bar, and drinks cost extra. Matt the Miller's is located at 11 W. City Center Dr. in Carmel, Indiana. 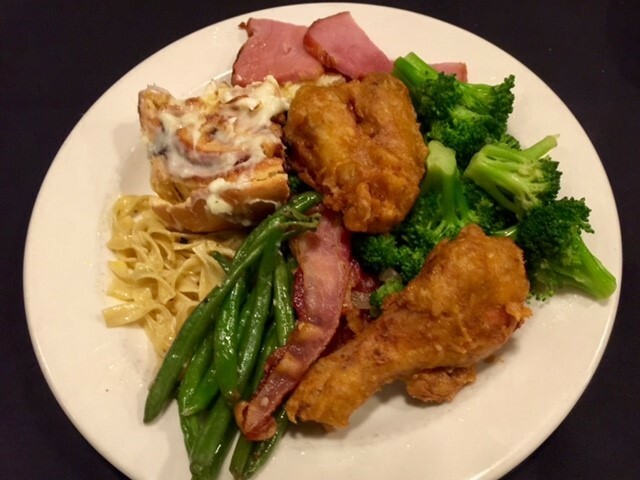 The Sunday brunch buffet is from 10 a.m to 2:30 p.m.
Have you had brunch at Matt the Miller’s? Tweet me your photos and thoughts to @ErickaFlye .